A wallet and a phone case in one! It can sometimes be very annoying if you have to take a wallet while using only credit cards. 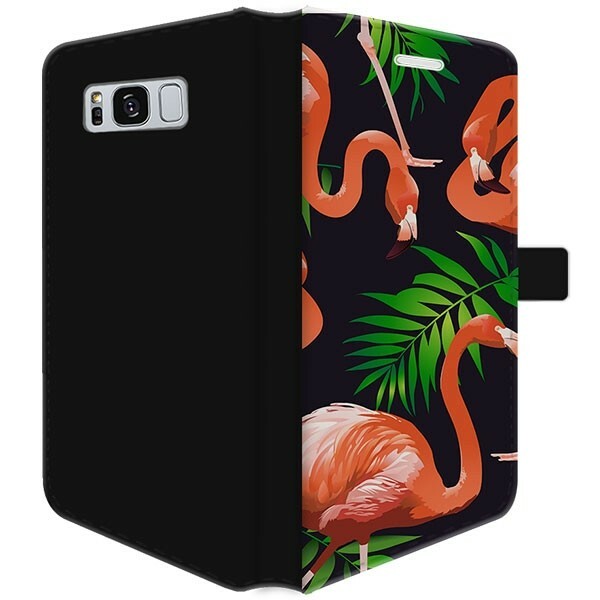 Therefore, you can design a wallet Samsung Galaxy S8 PLUS case at GoCustomized. This case provides good protection on your phone and also has handy slots for credi cards and note money. So your mobile is the only thing you need to take for the day. The case has a magnetic closure that keeps your case firmly closed so that your phone and your passports stay well kept. 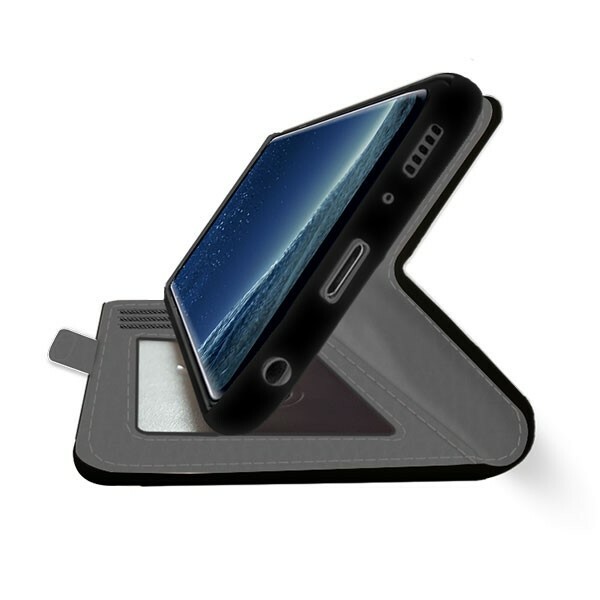 Your phone is easy to attach to the case; The softcase on the inside goes smoothly around the phone. The case also has port holes for easy use and can continue to use the case when a headset is plugged in. In addition, the Samsung Galaxy S8 PLUS case design is also very easy! Designing your own wallet case. With GoCustomized, you can be sure that the design of a phone case is just the way the you like it. We use a user-friendly design module with some fun and convenient options. 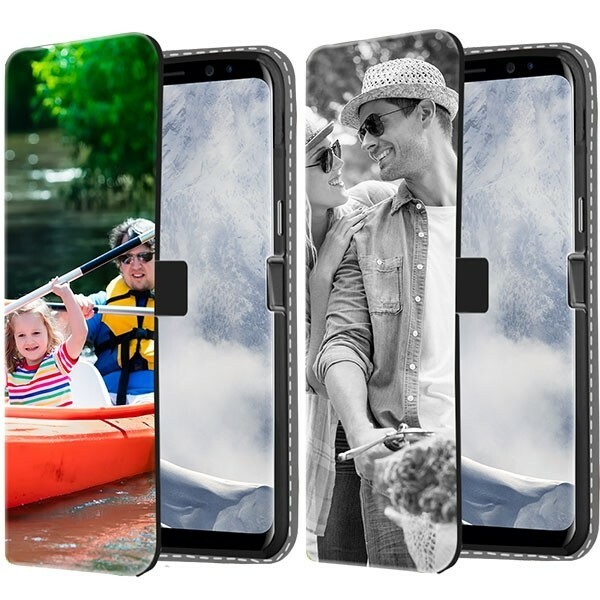 Do you want to design your Samsung Galaxy S8 PLUS case with a nice memory? You can! Upload a nice holiday photo from Facebook, Instagram or from your own hard drive and put it just how you want on the case. For your loved ones you can also add a nice text to complete the picture! Fast delivery and professional printing! 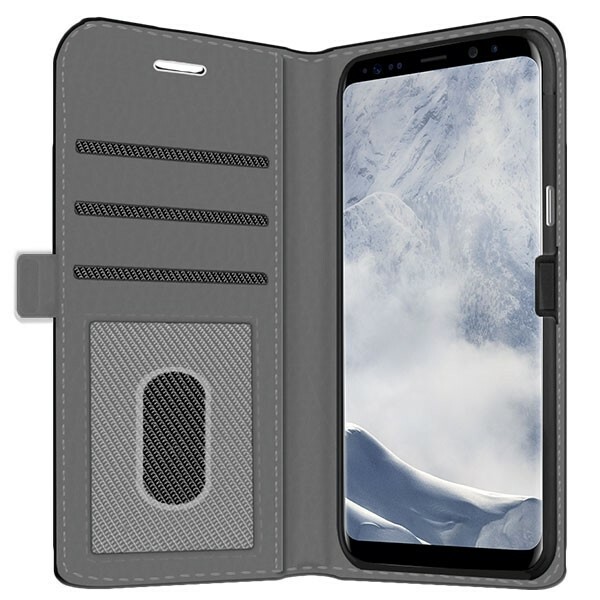 After having designed such a beautiful Samsung Galaxy S8 PLUS case, you want it delivered as soon as possible. We understand that too! If you order before midnight, we will produce and ship your case on the next business day. This speed, however, does not affect the quality we deliver. Our cases are printed with high quality ink for best results. If you have any further questions, please contact our support team.